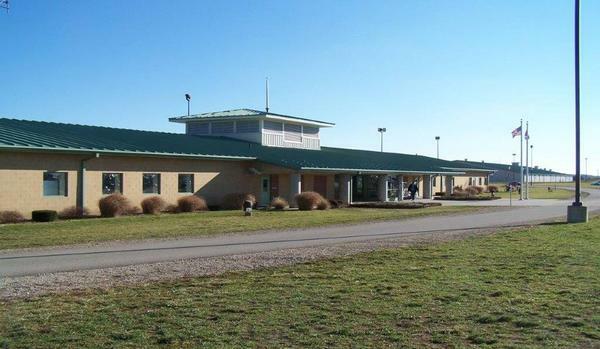 ERDCC (Eastern Reception, Diagnostic and Correctional Center) near Bonne Terre, where executions are carried out in Missouri. Justice Anthony Kennedy acted as the swing vote, siding with Ruth Bader Ginsburg, Sonya Sotomayor, Elena Kagan, and Stephen Breyer in granting the stay. Justices Clarence Thomas, Samuel Alito, Neil Gorsuch, and Chief Justice John Roberts voted against. The stay, though, is temporary. The High Court will now consider whether to overturn a lower court ruling that stated Bucklew could not say for sure that lethal injection via pentobarbital would cause choking or bleeding. If the Supreme Court does not overturn that ruling, then Missouri would have clearance to attempt a third execution of Bucklew. The High Court could also direct that Bucklew’s medical claims be reheard in federal district court. His attorney, Cheryl Pilate, said Wednesday that their appeal included a suggested alternate method of execution – lethal gas. Bucklew is also hoping that Governor Eric Greitens will spare his life. No one from Greitens’ office has responded yet to requests for comment. Regardless of what the U.S. Supreme Court decides, there won’t be a new execution date anytime soon. “The Missouri Supreme Court will have to set a new date following review of the appeal,” Department of Corrections spokeswoman Karen Pojmann said in an email to St. Louis Public Radio. 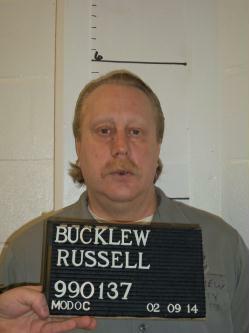 Bucklew was minutes away from being executed in 2014 when the Supreme Court issued its first stay. “For the second time in four years, the Supreme Court has intervened to stop the unconstitutional and barbaric proposed execution by lethal injection of Russell Bucklew," said Cassandra Stubbs, director of the ACLU's Capital Punishment Project. "While the Supreme Court’s decision to stay the execution is a welcome one, it is an indictment of our legal system that Mr. Bucklew came this close to execution. As a result of his unique medical condition, Mr. Bucklew could have choked on his own blood during the execution and experienced excruciating pain. Neither the constitution nor the bounds of human decency permit his execution." Bucklew, 49, was sentenced to death for the murder of Michael Sanders in Cape Girardeau County. On March 21, 1996 — exactly 22 years ago Wednesday — he entered a trailer where Sanders lived with Bucklew’s ex-girlfriend, Stephanie Ray. Bucklew shot Sanders in front of Ray, then kidnapped and raped her. He was later captured after a shootout with state troopers. Bucklew and a state trooper were both wounded while exchanging gunfire. Lt. Eric Friedrich of the Cape Girardeau County sheriff’s office, who investigated the case against Bucklew 22 years ago, wanted the execution to go forward. "I think about the pain that he inflicted...on the Sanders family and the pain that he inflicted on Stephanie Pruitt (Ray) and what her life was like thereafter,” Friedrich told Cape Girardeau TV station KVFS.